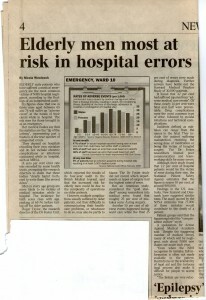 For over two decades Medical Error Action Group has monitored nursing homes – death homes – and it’s a horror story right across the nation. “Functioning” on political promises does not work. Politicians! Time to fix this disgraceful system. It’s not care, it’s hell. YOU may have someone in your family in need of a nursing home. 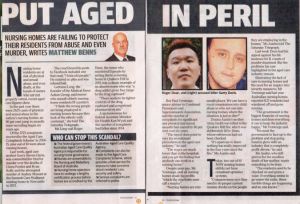 If so, God help them because Australia’s aged care system won’t. GO TO POLICE if your complaint is ignored. 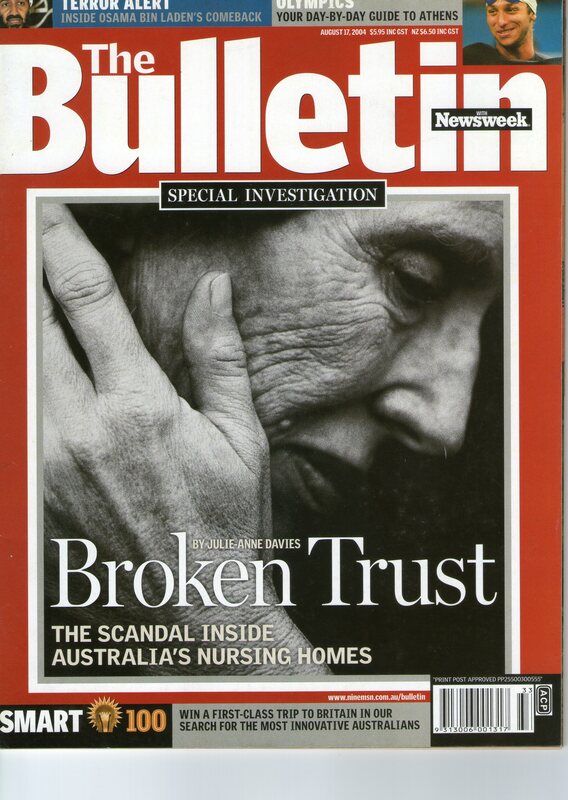 As a nurse is charged with two murders in a NSW nursing home, read The Australian Women’s Weekly’s investigation into what is going on behind closed doors. Are our loved ones really safe? BODINGTON Nursing Home at Wentworth Falls, in the Blue Mountains of New South Wales, became the subject of a Coroner’s Inquest after a resident died following an alleged overdose of morphine by a registered nurse. 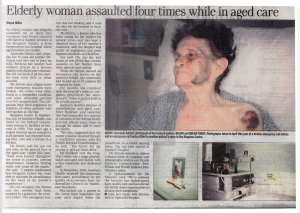 The resident, 84-year-old Mrs Sybil Zimmerman, died on 15 May 2011 after being transferred by ambulance in a comatose state to the Blue Mountains District Hospital in Katoomba. 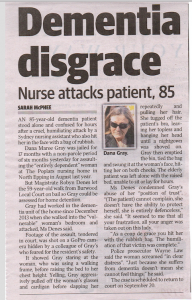 Current and past nurses in the employ of BODINGTON Aged Care Facility conducted themselves in a contemptible manner. Flippantly failing to comprehend that the inquest related to the circumstances of a person’s death, a person under their supposed “care”. 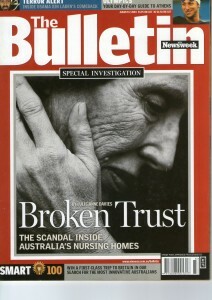 Not only were the nurses and their companions discussing the evidence in loud whispers disrupting the public gallery, they, after the Coroner had ordered nurses who had not given evidence to leave the courtroom, went on to feed evidence being heard to their companion nurses outside the courtroom at regular intervals. The conduct of the nurses and their intimidatory tactics were reported to the Registrar of the Coroner’s Court. 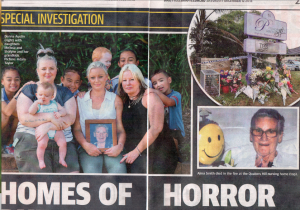 On the 4th day of Inquest, a number of nurses deliberately and intentionally engaged in intimidatory behaviour by spreading themselves around the public gallery including sitting with and surrounding the deceased’s family whilst one family member was waiting to complete giving evidence. The Coroner interrupted proceedings to address the Court about the conduct and reactions of nurses and that their ‘ripples of laughter’ throughout the courtroom were unacceptable. They were reminded that their ‘presence in the courtroom be mute’. 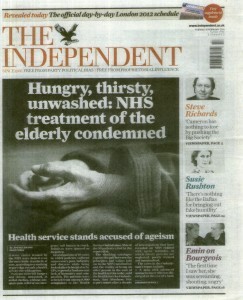 The disruptive conduct by RN Rosemary CHAPLIN, RN Elizabeth HANDLEY, RN Charlotte TILY and RN Linda VERITY, carer Mary PINKERTON, three of their counterparts from BODINGTON Nursing Home, plus several companions, was ordered to cease. Disrespecting the sanctity of the Court, the nurses’ had scant regard for court protocols. Their delinquent behaviour illustrated how they conduct themselves in their day-to-day nursing jobs. The name of the game is COVER-UP. Catholic Healthcare? Catholic Wealthcare more like it. 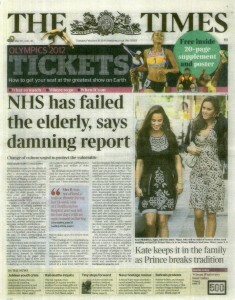 ACCREDITATION AND STANDARDS FOR NURSING HOMES? Plenty of accreditation but no standards! The Accreditation Agency informs the nursing home of its intention to visit, giving them prior warning to “clean up” and “shape up” guaranteeing their accreditation for another year. If it weren’t such an abhorrent situation, it would be laughable. Asylum seekers get better treatment than our elderly — our Mums and Dads and their Mums and Dads — who have paid taxes all their lives to be discarded to the scrapheap when no longer paying tax. Shame on every Australian government. Register your disgust to your federal Member of Parliament today! That is, if he/she will listen.